First published in 1927 by the Building Research Station, this volume provides a classification of lime and a complete review of its various uses in building construction and repair. 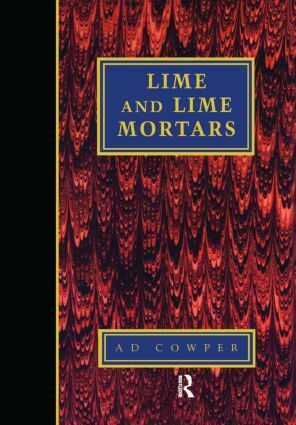 This facsimile edition should be of interest and of practical value since the methods, terminology and practices detailed by Cowper are still valid today. A brief historical introduction to the subject is followed by a section on the process of lime burning which emphasizes the differences in behaviour of the various classes of limes. The results of research and tests to determine the most reliable and lasting limewashes and lime-based cold water paints are also detailed. In addition, the book provides useful information on the common problems occurring with lime plasters and how these can be solved. The classifications based and suggested applications in the book offer guidelines for the conservation practitioner.